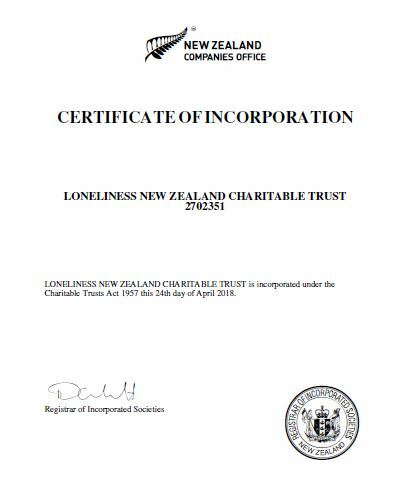 The Loneliness New Zealand Charitable Trust is incorporated under the Charitable Trusts Act 1957. We are a registered charity (registration number CC55511). Our New Zealand Business Number (NZBN) is 9429046744579.
to increase wellbeing and life satisfaction of our population by giving New Zealand a focus on conquering loneliness. such other charitable purposes as the Trustees may decide.